My name is Bridget Wheeler. I run a small aviary out of my home located in Dunbarton, New Hampshire. 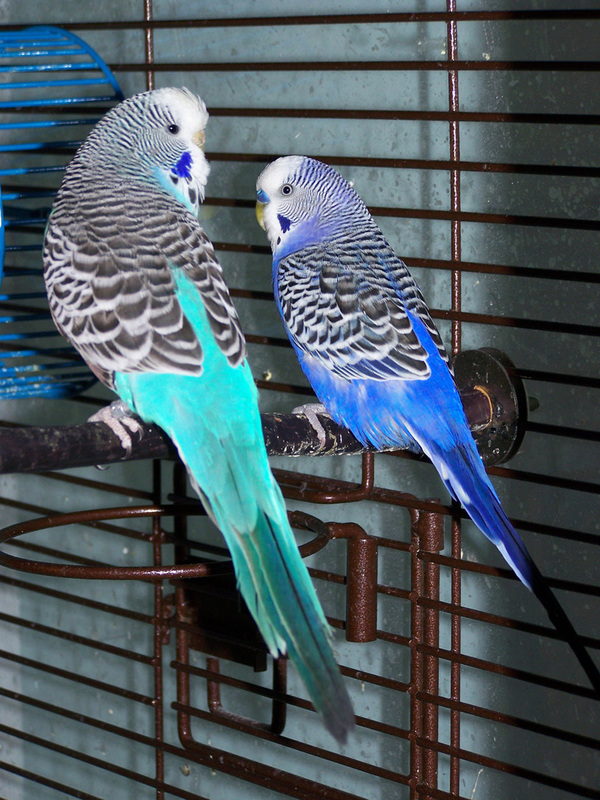 I breed American budgies, English budgies and specialize in a hybrid American English mix budgies. 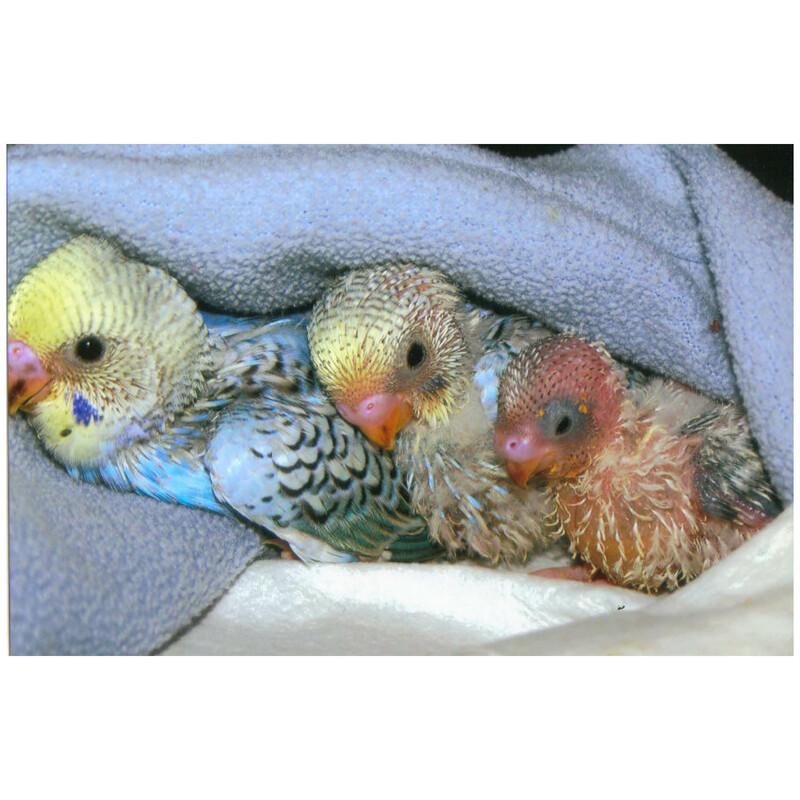 My goal a as a small in house breeder is to produce healthy, tamable and beautiful birds in that order. The pairs have been chosen and bred to the highest health standards available to ensure a long lived pet bird. 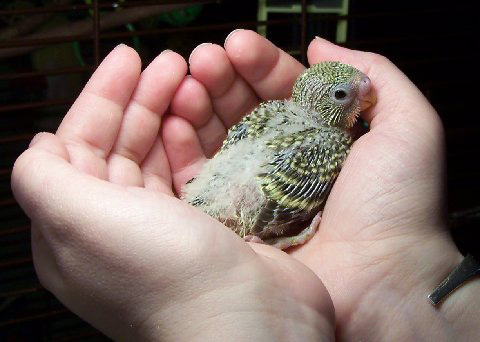 I hand feed all of my baby budgies to ensure they will be use to human contact. Using what I call the lazy mans way of hand feeding I leave the chicks with the pair until they have been weaned. At about two weeks I start taking the chicks out twice a day to hand feed. This is much healthier for the chicks and here is why. The hen produces crop milk. The crop milk adds vital dietary need to the chick as soon as it hatches. Allowing the hen to feed makes for a healthier and longer life for the chick. My birds breed on average twice a year and new hatchlings will be sold at this time. All birds will come with their wings clipped and as for hand fed chicks they will also come with a hatchling certificate. I now offer gender testing as well. My birds will not be shipped. You will need to pick up your bird at my residence. If you are interested in what the aviary is up to please take a peek at the aviary updates page. If you have any questions about budgies or are interested in any of my birds please contact me. I have had many people ask me about the difference between budgies and parakeets. Some breeders have a difference of opinion but I have done my research and found a conclusion. A parakeet is any small long tailed parrot. A budgie is what most pets stores call parakeets. There are two types of budgies. American or pet type are smaller birds. These are the birds you see in the pet stores. The second type is called English or show type. English budgies are larger and a have higher feather density. One of my many goals as a breeder is to produce the perfect pet bird for my customer. So what exactly does this mean and how have I done this? Well most of my pairs produce a hybrid mix of genetics that most budgie breeders don't produce. I have been mixing the American (pet type) and the English (show type) budgies for years now. My goal in doing this was to weed out any unwanted genes and behavior. In doing so also weave in the genetic make up of a healthy, tamable and beautiful bird. This hybrid mix has the playful chatty behaviors of an American budgie but not the skittishness that is still deep within the birds genetic makeup. As for the English budgie the mix takes some of the size of the bird making it safer for children to handle along with its ease of taming but weeds out the overly clam and sometimes boring behaviors that have been bred into the English show bird. It has taken me years to pick and choose my breeding pairs. Through the years I have collected and bred the best pairs possible. As an owner I know each individual birds personality. All of my birds have names and are seen as family pets not breeding stock. Proudly I breed for quality not for large numbers. If you have any questions about the aviary at all please feel free to contact me. If you ever find that you can't properly care for any budgie you have purchased from the aviary please let me know and I will gladly take them back. I would rather take a budgie back then send them to a shelter. At this time I am no longer breeding my pairs. If you have any questions about parakeets, color mutations or breeding you can e-mail me and I will answer any questions you may have.